I strolled to platform 3 at Truro to wait for my train. The turnaround times at both ends of the branch are quite tight. 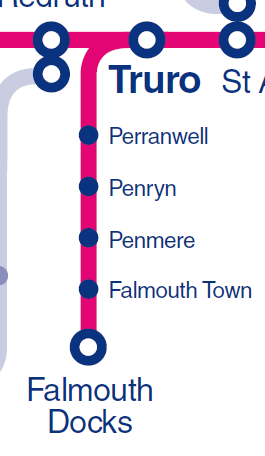 No chance for a leisurely chat for the train crews on this line: the inward train arrived at Truro at 9.18am and we were off back down the line again by 9.20am. 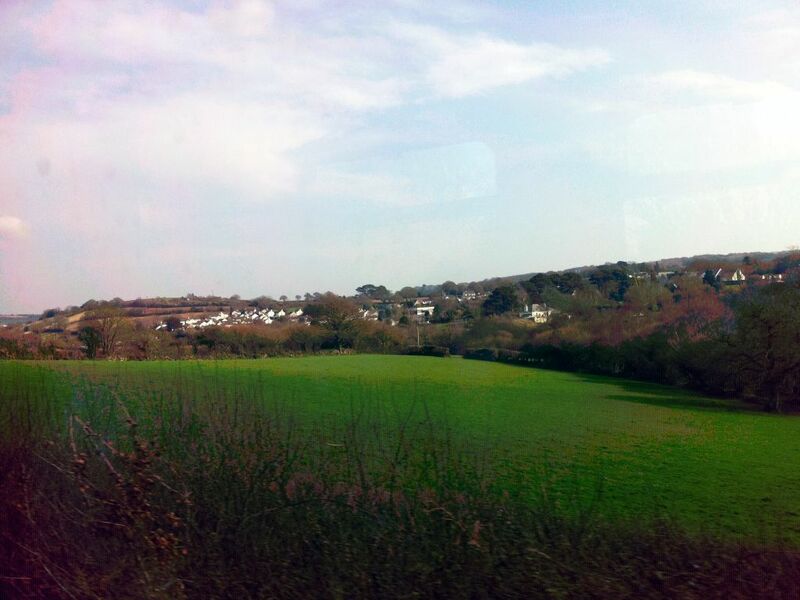 After clattering over the pointwork outside Truro station and a brief run through the tunnel, we were soon back in open countryside, watching verdant hills and valleys flash past the train window. 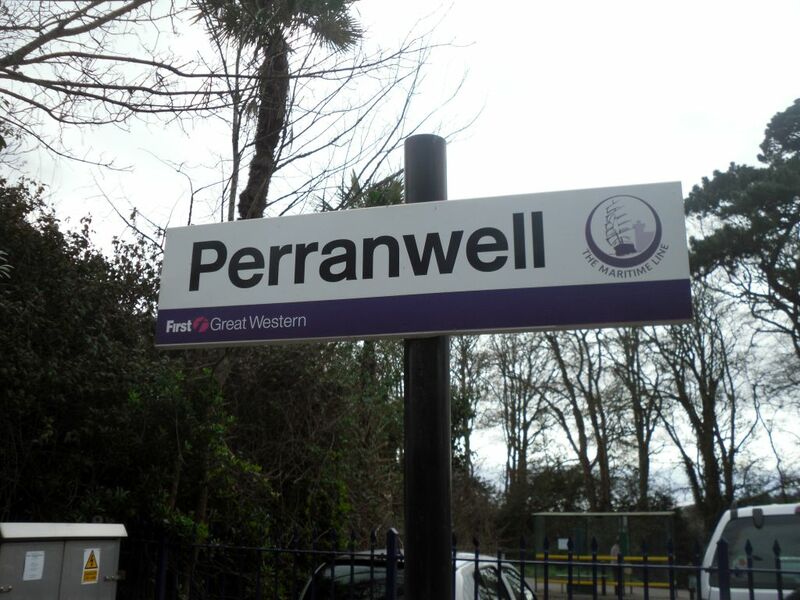 As I mentioned earlier, Perranwell is a request stop. Request stops make me anxious. When I’m waiting on a platform I worry that the driver won’t see me and stop in time. When I’m on a train I worry that the conductor will forget to get the driver to stop. On this particular occasion, the worst possible scenario played out: after buzzing the train away at Truro, the conductor went into the rear cab and did not come out again, so I couldn’t request my stop. As we got closer to Perranwell station I started to worry. Failing to stop at Perranwell would not be a disaster, but it would throw my plans into disarray and add at least an extra hour to my travels. 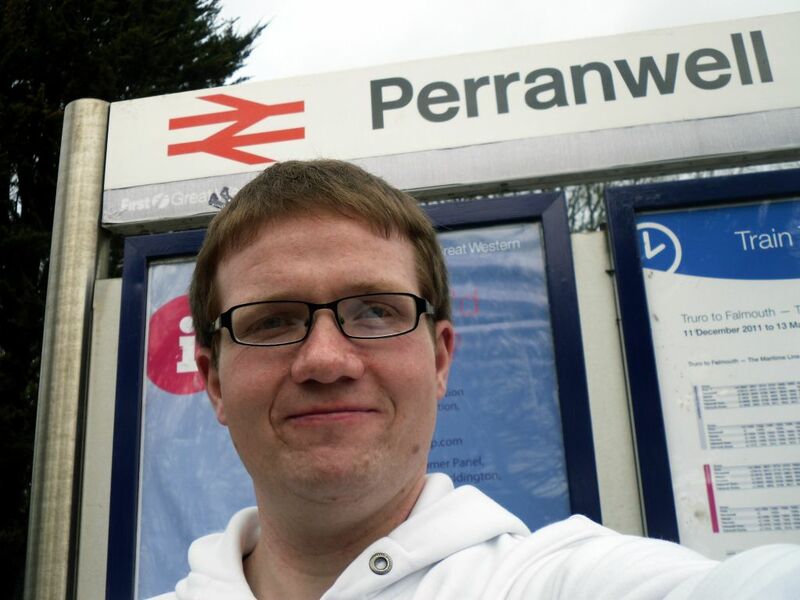 In the end, however, my sweaty palms were unnecessary – we stopped at Perranwell anyway. As I got off I took the opportunity to query the conductor about my Ranger ticket that wasn’t a Ranger ticket. She hesitantly concurred with the ticket office man. I remained unconvinced. 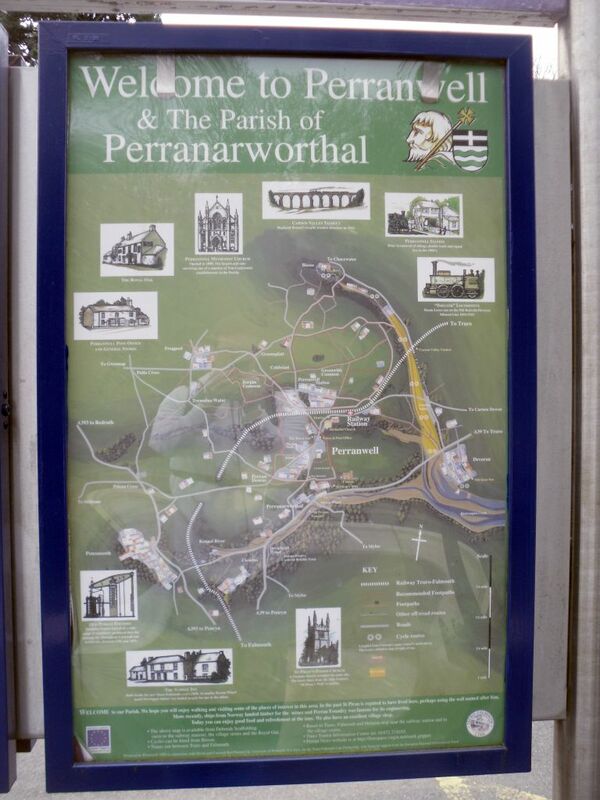 There isn’t really a huge amount to say about Perranwell. 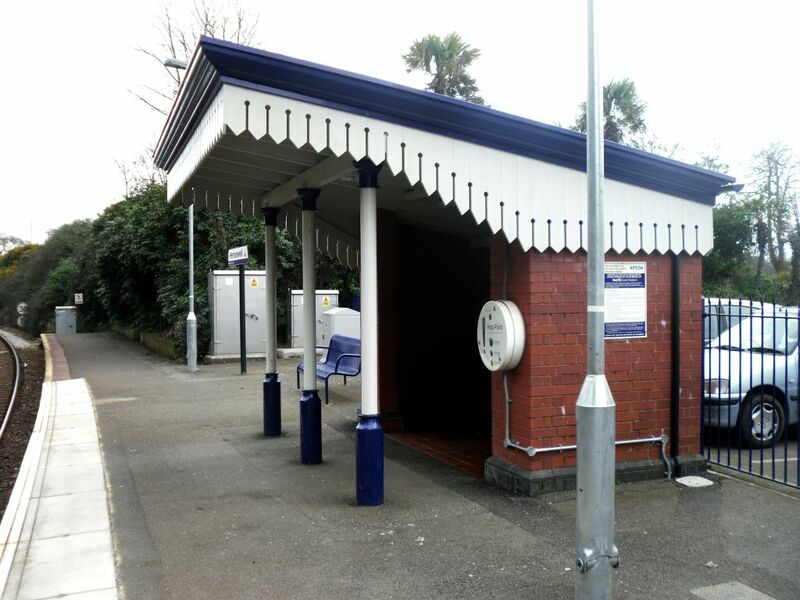 It has a faux-GWR shelter similar to those found on the Looe Valley stations, but as it’s painted in First Great Western corporate colours, the effect seems a bit half-hearted. At first glance there didn’t appear to be much of interest in the immediate vicinity of the station, but the information board provided by the local community organisation begged to differ. Perranwell is a hotbed of activity. Who knew? Whatever the charms of Perranwell, there wasn’t going to be time to see them on this visit. There was nothing left to do but get the customary picture of my ridiculously photogenic self under the station sign. This took a stupidly long time to get right, and the situation was made worse by a man on the platform staring at me as I fannied around in the station car park, which ratcheted my self-consciousness up to almost intolerable levels. 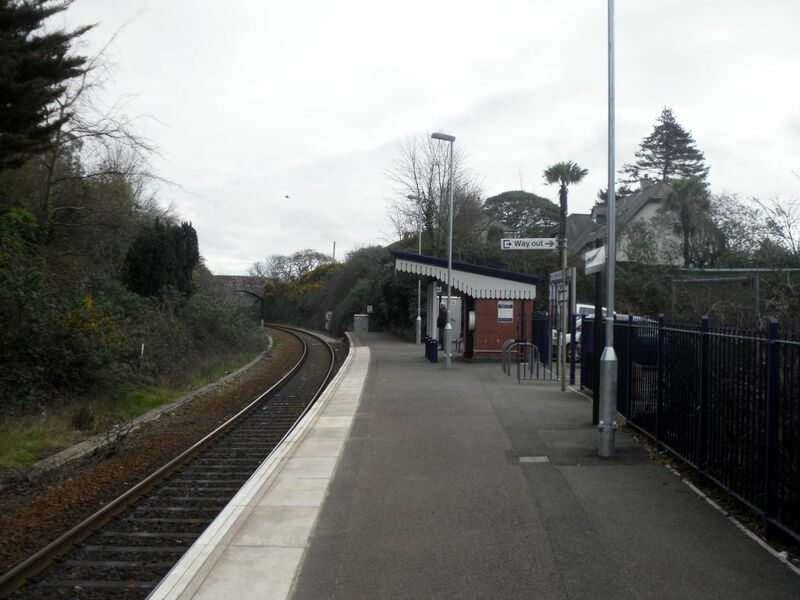 So, that was the first (and most awkward) station on the Falmouth branch ticked off. The rest of the line would be easy to do. The lack of challenge was almost disappointing. 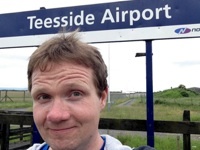 Stumbled upon your blog while searching for quaint railway stations in the UK, and I must say I loved every bit of it. This will make for a lot of reading during afternoons I spend wishing I was on a branch line somewhere rather than at work, and I’ve gotta thank you for that. Cheers!